TwistedBrush - программа для художников. Она имеет большое количество самых разнообразных инструментов для рисования, от красок до мелков и карандашей. Эта программа глубоко поражает буквально с первого запуска. Интерфейсом Twisted-Brush мало похож на другие редакторы, хотя и предоставляет все необходимые возможности: работа с буфером обмена, зуминг и, конечно же, рисование. Причем рисующий инструмент только один — кисточка, зато количество (более 3000 штук!!!) и качество пресетов для рисования, а также многообразие форм и регулируемость размеров и цветовой гаммы позволяют человеку, не особо одаренному художественными талантами, буквально за пару минут изобразить то, что — возможно, более аккуратно и качественно, конечно — профессионал, работающий в другом редакторе, рисовал бы, наверное, не один час. • Added - Distort by Scratch Layer filter added to the Distort category of filters. • Added - Gallery Wrap Mirror Auto filter added to the Generate category of image filters. • Added - Adaptive Unsharp Mask filter added to the Sharpen filter category of image filters. • Added - Feather filter added to the Stylized category of filters. Very handy filter! 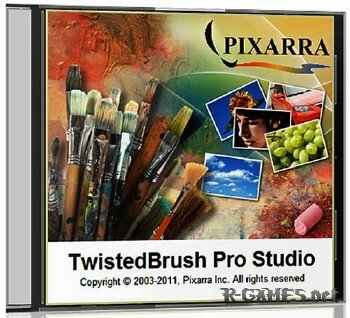 • Added - Pro Clip Brush Filter and Pro Blip Brush Filter 9x to the Art Pro - Image Filter ArtSet. • Improved - Added a Random Offset option to the Displacement Bump set of filters. • Improved - The Pro - Pen Pixel brush gets Anti-Alias and Dash Interval options. • Improved - Allows brush effects Mask and Dab Pos Mode to work properly together. • Improved - The Resize Image dialog now allows for selecting the units of measure, inches, pixels or millimeters. 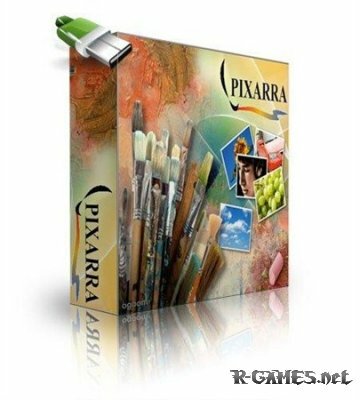 • Improved - The Resize Image dialog now shows the current PPI (pixels per inch) setting. • Improved - The Order Prints tool has been improved to support additional print features. • Improved - Clicking on a current selected color item will unselect it and allow adjusting colors without changing any of the 4 current colors. • Improved - Black, Grey and White color options were added to the Quick Command panel to allow quickly selecting one of those colors without changing the current set of 4 colors. • Improved - The Layer Bar now indicates when the Mask is enabled and also when there is a paper selected or data on the scratch layer. • Improved - The Alpha Filter option was improved to allow for fully transparent areas to have values set. Basically it makes more of the filters usable with the Alpha Filter option. • Improved - Clip brushes can now be used brush layer effects. • Changed - The Marble filter was changed to a different underlying algorithm to correct crash cases but also to give a wider range of effects and cleaner handling at the page edges. • Fixed - The Marble filter could in rare cases cause a program crash. 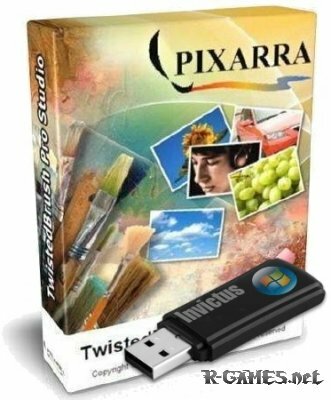 • Fixed - The selected filter was not getting set into a Pro Image Filter brush if the preview button was off in the filter select dialog. • Fixed - Filters with a variant value of zero were not consistantly resulting is a randomized variant. • Fixed - Saving a page to a PSD file could result in layers being incorrectly sequenced.